Today SynEdge have released a case study on our client Gamehouse and the services we have provided for them, including the reasons why they chose us to provide their CDN, how we improved their service and feedback from their Senior Development Manager. Changing to the SynEdge platform has seen a 20% increase of performance for Gamehouse on their website, allowing their users to download games at a higher speed with a more reliable result. During the transition from their previous providers, our expert technicians ensured that there was no loss of use of the website and that any existing technology they were using would run smoothly with ours. Feedback from Gamehouse has been incredibly positive, with Niels Koek – their Senior Development Manager – stating that “We aim to provide the best service possible to our users and this is now achievable with SynEdge.” Our platform allows Gamehouse to ensure the performance of their website and the reliability of their downloads will be first rate in order to keep their users satisfied with their service. Higher levels of customer satisfaction inevitably leads to increased customer loyalty and a growing consumer base. 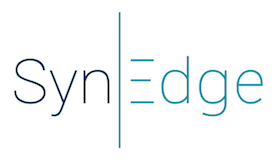 SynEdge aim to always provide the best customer service we can, ensuring that clientele will only ever deal with one person, allowing for a strong professional relationship to be built and maintained. Gamehouse were incredibly impressed with the service SynEdge provided when implementing the change to our CDN, finding our technicians to be very swift and helpful and making the transition seamless.